Stands 11' Tall. No internal lights inside Neon Airblown Inflatables. 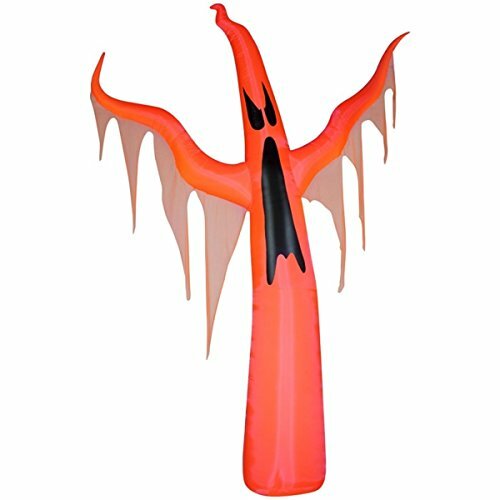 Comes with a spot light fixture with an LED Black Light that shines on the inflatable to make it glow. Self Inflates!! Just Plug Into 110 Outlet. Made By Gemmy. No internal lights inside Neon Airblown Inflatables. Comes with a external spot light fixture with an LED Black Light that shines on the inflatable to make it glow. Comes With Heavy Duty Built In Fan, Yard Stakes & Tether Ropes.